An intimate dinner for two is the perfect time to showcase your cooking skills. 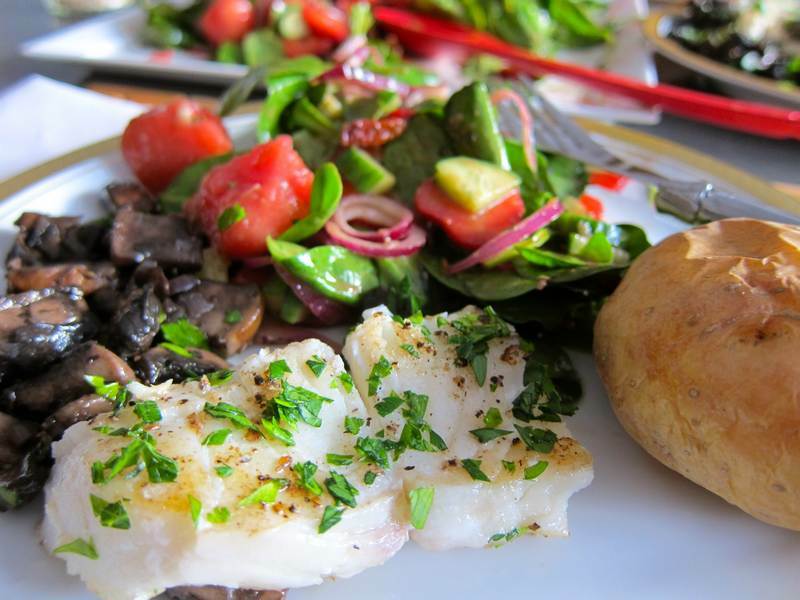 This easy Pan Roasted Sea Bass and Portobello Mushroom recipe looks as beautiful as it tastes, and leaves room for dessert. Preheat oven on roast to 420 degrees. Heat 1-2 T olive oil on high in a large, heavy, oven proof skillet. Cook onion for about 5 minutes on medium-low, until translucent. Add mushrooms, cooking on medium for about 5 minutes. 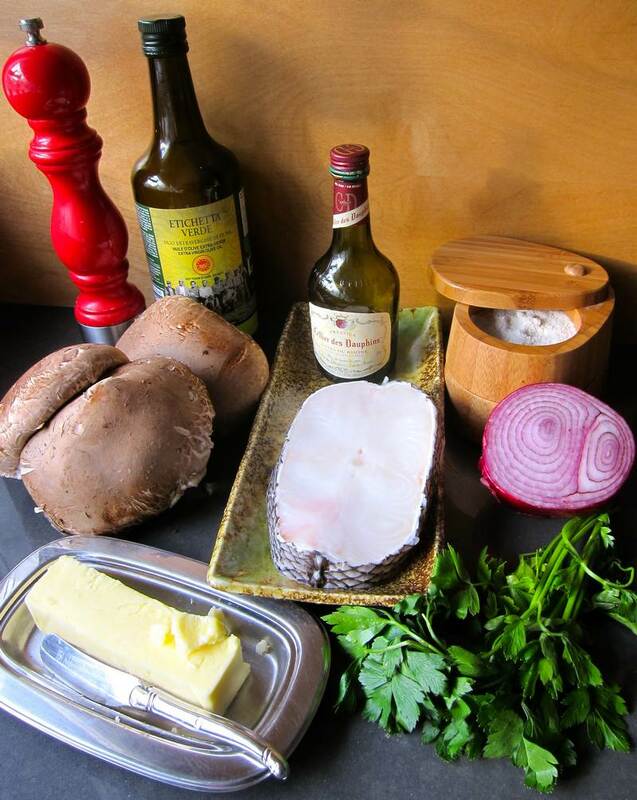 Add wine, butter, salt and pepper, cooking until mushrooms taste done. 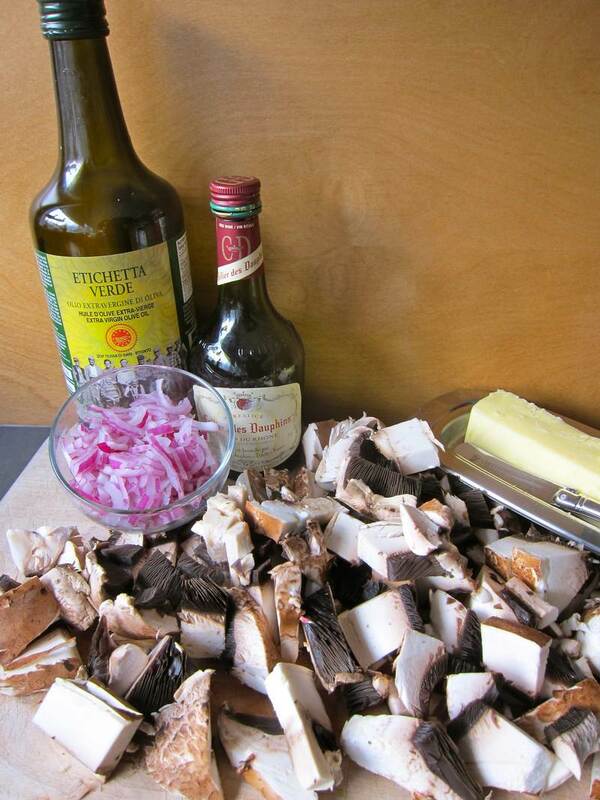 Place mushrooms around the perimeter of a plate. 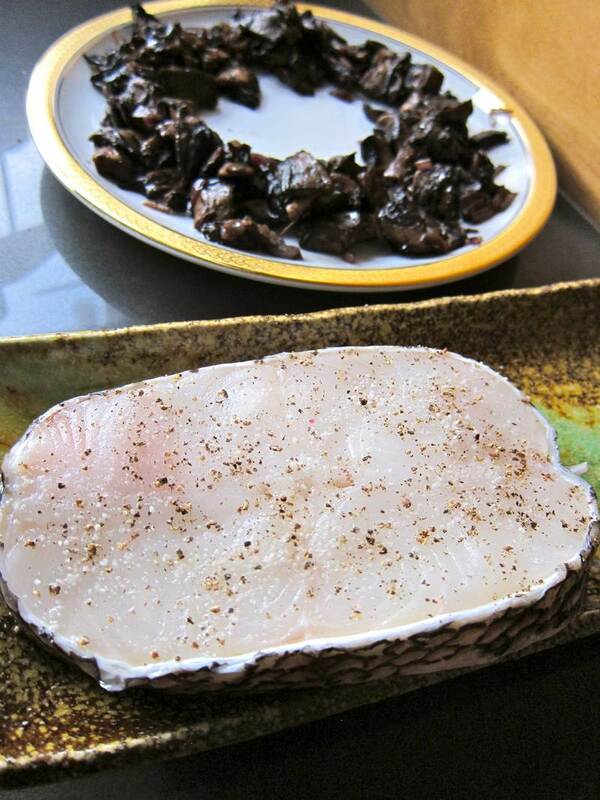 Season fish on both sides with salt and pepper. Heat 1 tablespoon of olive oil in the same skillet. 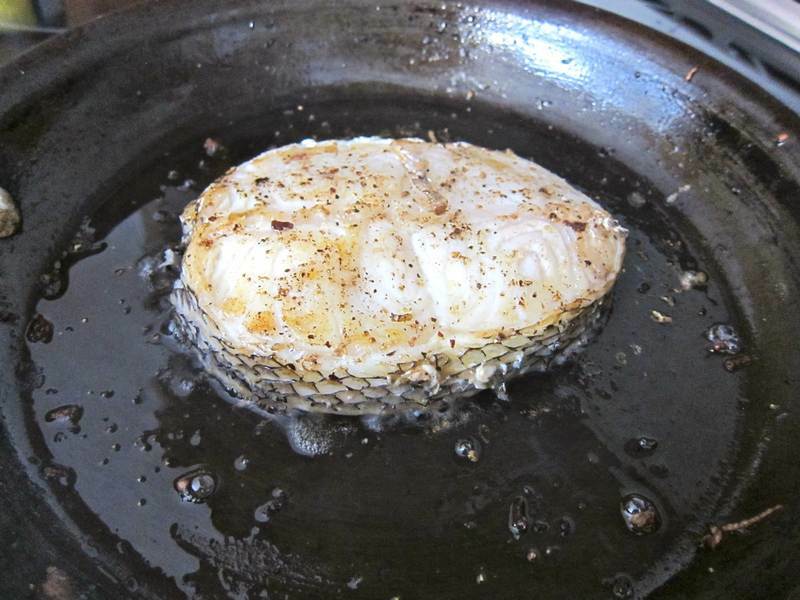 Sear the fish on 1 side for about 5 minutes. Flip the fish, cooking the second side for 1 minute, then place the pan into the preheated oven, cooking through for about 5 more minutes, or until the fish flakes. Gently remove skin and bones. 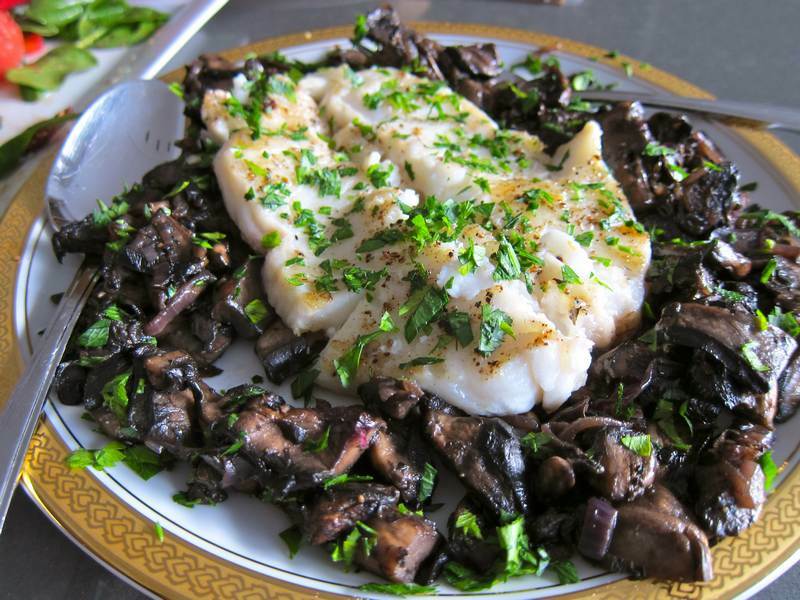 Serve the fish surrounded by the mushrooms, garnishing with parsley. Goes well with Spinach, Watermelon, Strawberry Salad and a baked potato. This recipe was heavily inspired by The Reluctant Gourmet who demystified the art of stove top to oven cooking. So this is what happens when you combine reluctant with jittery. You may have looked for proof that Instagram is ultra valuable. Well here are 191 pieces of proof. Check out jittery honours to see the 15 excellent bloggers who earned The Versatile Bloggers Award according to the Jittery Cook. This is Jittery Cook‘s 100th post! « Super Spinach Smoothie – Oh Joy! I now have a cookbook with only your recipes. I like the sound of that! This was perfect!